Toy Fair is this weekend and lots of pictures are spilling out onto the internet. Yesterday a lot of DC's new products were shown. 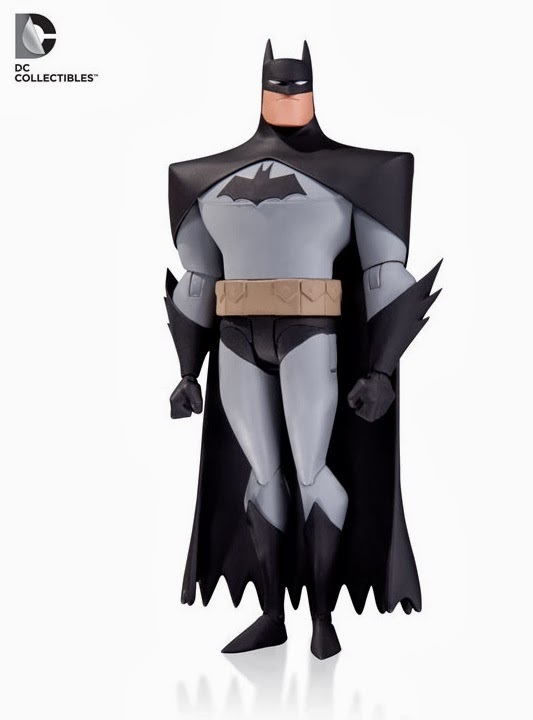 One of those pictures were of the best Batman figure I've ever seen. In the past 20 years of my life I can't say I've purchased a Batman figure unless he was packaged with another character that I wanted. This figure is the Animated Series brought to life and it is wonderful. There is a Catwoman in the line too, but I'm just blown away by the Bat. Hopefully it sells well and they eventually branch out into Justice League figures like this.